Post-Soviet designers conquer the West. 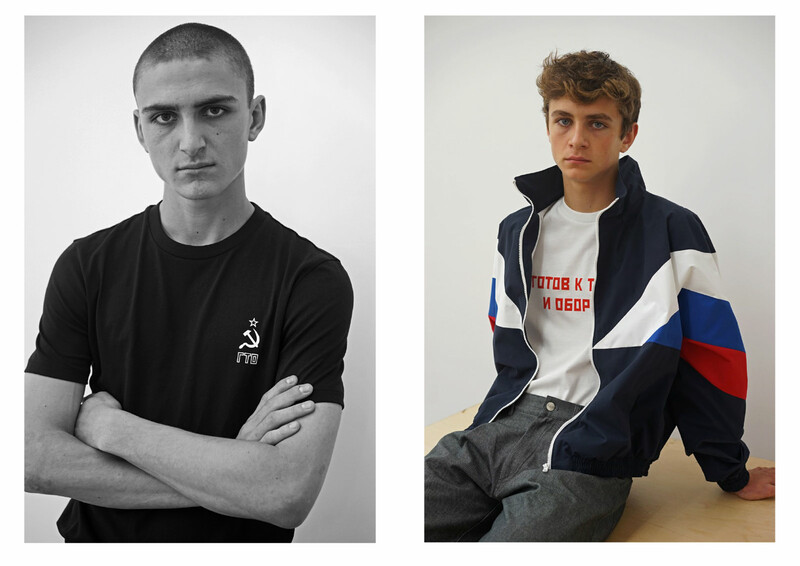 There are two brands Gosha Rubchinskiy и Vetements now at the peak of popularity, both actively use the aesthetics of the 90s, the style of the post-Soviet period and are often criticized for propagating frankly ‘ugly and market’ combinations. Gosha Rubchinskiy represents the culture and style of teenagers, however for older Russians it causes associations with orphans from the 90’s and football fans. Designer Gosha Rubchinsky is in demand today to create collaborations with major brands, and this is a tremendous commercial move: so young fans of corporate identity buy expensive capsule items at incredible prices, and the designer’s popularity continues to grow. 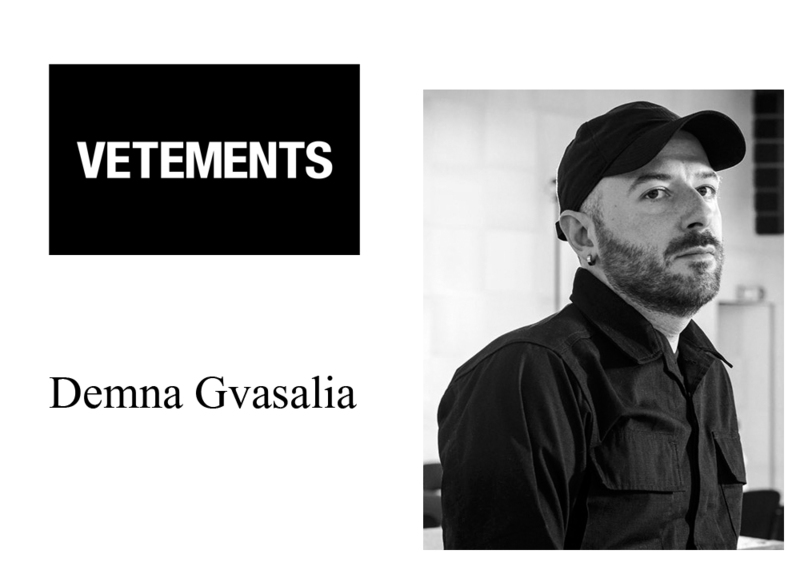 Demna Gvasalia, Vetements founder, has Georgian origin and he is also a creative director of Balenciaga (thank you, Demna, for shuttle traders bags for a few thousand euros). Vetements is a loudly discussed brand, conquered the West in the shortest time. The prices go off scale, and the hype is great. Unfamiliar beauty ideas became a tasty morsel for the West, where is the main focus on these brands, because Eastern Europe and Asia are not exactly surprised by such outfits. Who else like the things of these two brands? Of course, youngsters do, because the aesthetics of these designers also became something new and desired for them. Vetements и Gosha Rubchinskiy are excellent examples of ‘selling’ brands in an era, when designers began to forget that the main goal of production is to dress a consumer. 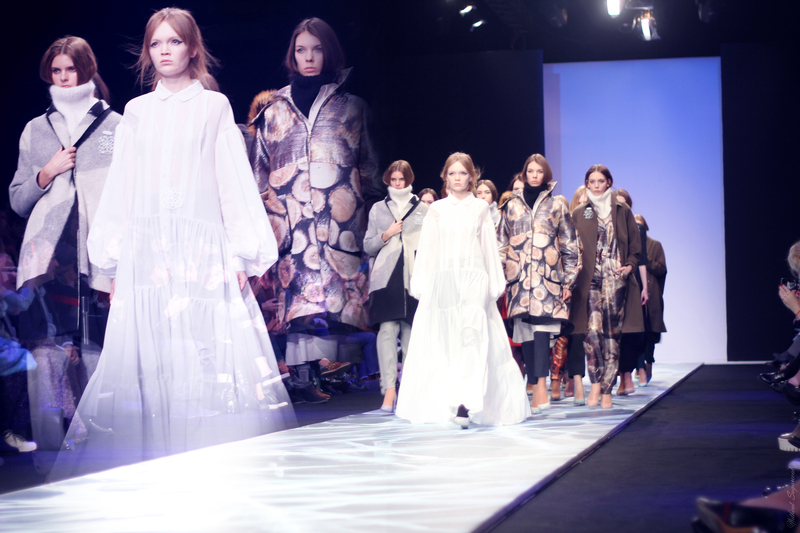 Several experts shared their views on what attracts these consumers, why the West actively supports post-Soviet designers. 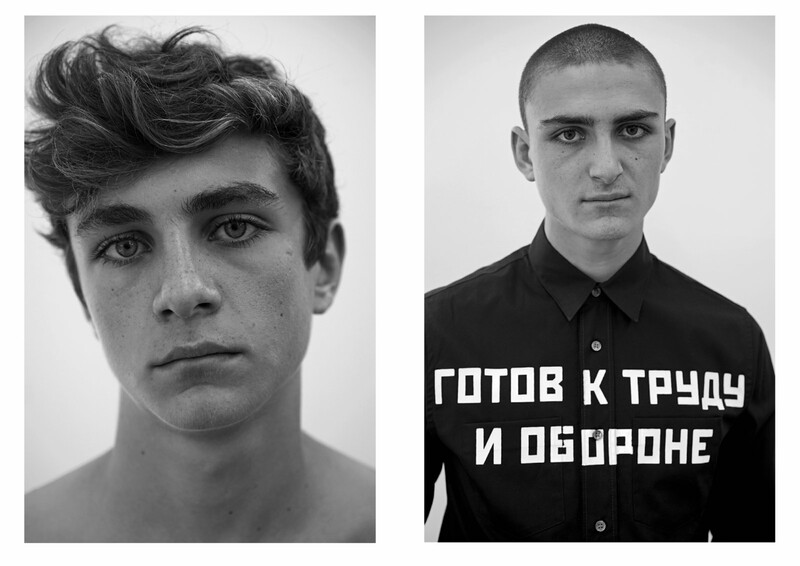 The political trace in the popularity of Gosha Rubchinskiy and Vetements is not visible at first sight, but everything is the same in the information field, and a lot of unexpected things happen – Brexit and Trump, the hypothesis of “Russian intervention”, and most importantly – economic upheavals and normcore (tendency to ordinary clothes, the desire not to stand out from the crowd – ed.). It’s funny to follow fashion, but politics is still interested in you, and everything is mixed on the Internet; the collective unconscious is going through a new stage of growth, and the growth is always a painful process. Therefore, mankind is looking for the epicenter of pain and it seems to have found it in… Russian language! 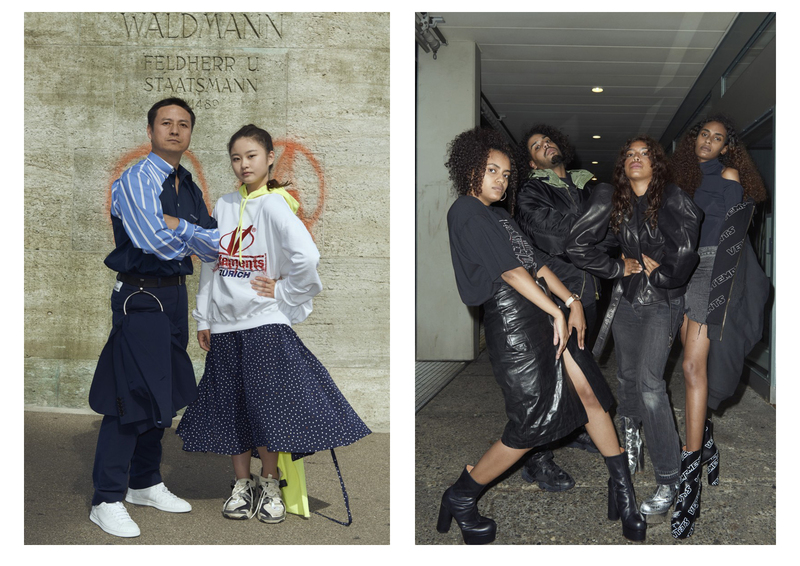 The castling of the Georgian Demna Gvasalia with the Taiwanese Alexander Wang in Balenciaga only strengthens the hype. Russian and Georgian accents sound rough, savory, recalling how ‘bistro’ (Russian word for ‘fast’ – ed.) Cossacks took Paris in 1814. The Western view is directed to Eastern Europe in search of a reflection of ‘spirituality’, which was replaced by political correctness and credit histories for long ago. Uber, Airbnb and others drop globally the idea of ‘credit consumption’… #sadness. To satisfy it you need #laughterthroughthetears, and then ‘our Cossacks’ Gosha Rubchinskiy and Vetements give spirituality in fan’s ‘roses’ and on skates on the eve of the 100th anniversary of the revolution! It’s interesting that everything started about 10 years ago, but it’s ‘ripped’ now, and this is politics. 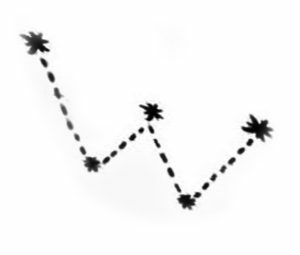 With the collapse of the Soviet Union, the iron curtain fell. People who lived in a regime of restrictions, clothes from the conveyor belt, grayness and rottenness for decades wanted to look like their Western peers. Now we see how the Russian brands Gosha Rubchinskiy and Vetements are at the peak of popularity among the western audience. They took a well-forgotten old things and resurrected it, added a ‘bazaar chic’ characteristic of the post-Soviet space, doing something new, not similar to what European brands do. Fashion has almost always reflected the spirit of a political change. I think these two concepts always go in step. 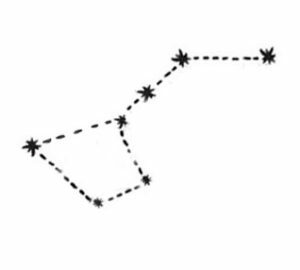 Rebellion, dissatisfaction with the political situation are accompanied by a certain shade in style. And now, we have the same as at the end of the 20th century, similar processes are taking place in the world political arena. Russia does not owe its popularity to its representatives in the world of the fashion industry, rather vice versa. Russia is famous, it’s on hearing and it’s interesting. I do not think that the activities of Gosha Rubchinskiy and Vetements are propaganda. Who said what the style of the 90’s is tasteless? What’s wrong with people wanting to wear comfortable things, without glamour and grotesque? It is a mix of high prices, trash outfits from the outskirts of the city, gipsy colors, rebelliousness in style and no prohibition – this is something that Europeans do not know, because Russian people know, for example. This is typical only for countries that left the USSR. Something new, which appeared at the right time and in the right place is the secret of guys’s success. Consumers are no longer interested in jeans or t-shirts, they want to stand out. And the political processes in the world only promote the popularization of the new Russian style. I do not see the ugliness in these fashion clothing samples (in quotation marks or without them). And in the 90’s and 70 – 80’s we dressed this way, but no one found in this some special design aesthetics. However, I remember an interview with James Aldridge (a British writer, laureate of the International Lenin Prize “For the strengthening of peace among Nations” 1973), which was published in a newspaper. He made a trip to the Soviet Union in Chelyabinsk, being at a metallurgical plant he was given an ordinary quilted jacket – worker’s overall uniform. When he returned to London in this jacket, he was surprised that English people with the ordinary restraint could not stop asking him on the street: where did he get such a luxurious designer thing? In fact, the collar-stand, fashionable cut, stitch, natural material and Cyrillic letters (an inventory number) looked fashionable. 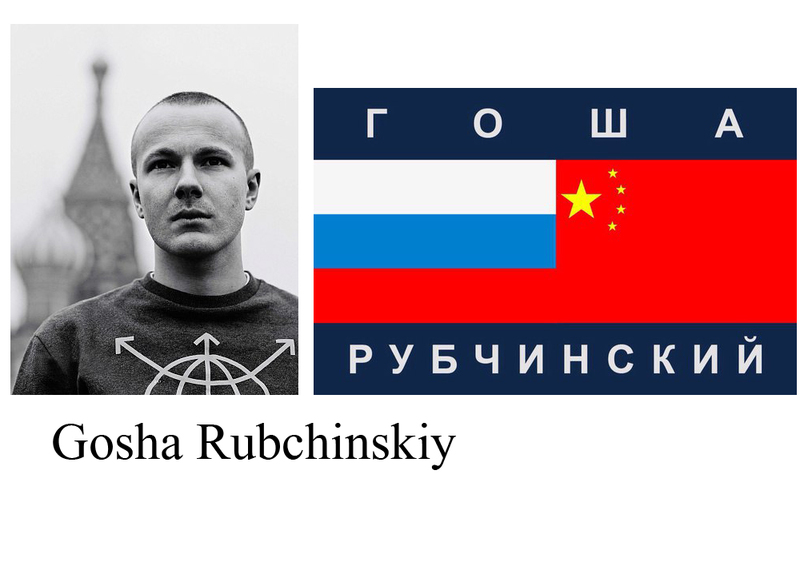 I think that the interest of the West to the products with the brand name ‘Gosha Rubchinskiy’ has no propaganda ‘for’ or ‘against’. Strictly speaking, I do not see a whole consciously formed image of Russia for the foreign countries, which should be broadcasted to the West or be resisted by these masses. However the image of the USSR was formed quite purposefully on a scientific basis, and there is nothing strange that the universal interest of the Western world rushed to it again. The cycle of fashion is just triggered. 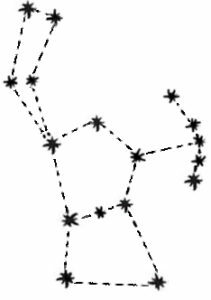 This phenomenon, the cyclical alternation of fashion with clothes, hairstyles, architectural styles, is known and was described long ago, only different sources have different cycle times: from 10 to 36 years. I do not think that the consumption of these brands can be called a phenomenon, and I do not consider that the study of the consumers of post-Soviet designers will reveal some peculiarities in their psychology and behaviour. Most likely, it will be the same as the average in the population. If during the years of perestroika the interest of the West towards everything Russian was based on the political realities, on the brand ‘Perestroyka & Glasnost’, but now it is just a simple cycle of fashion.